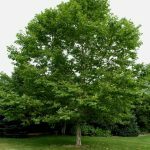 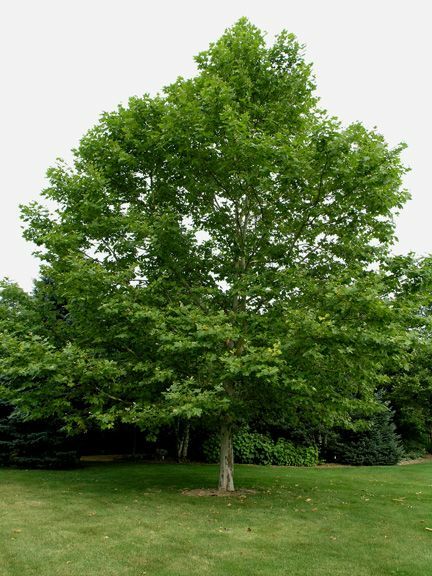 The London Planetree is fast growing tree with medium green, maple like leaves that turn yellow in the fall. 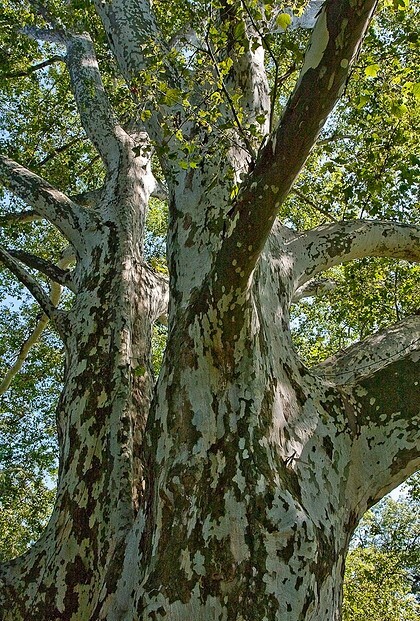 They have a very attractive, smooth, exfoliating bark that makes it very unique. 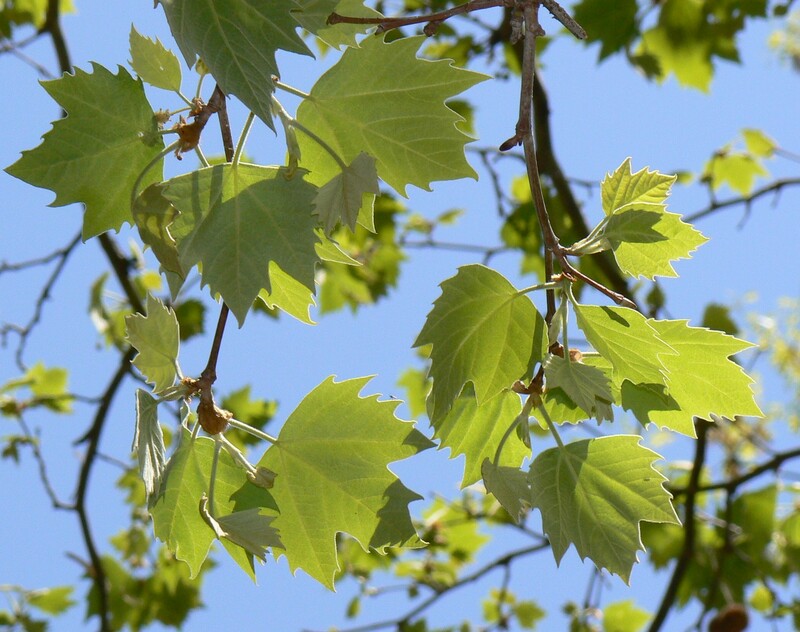 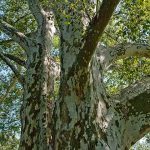 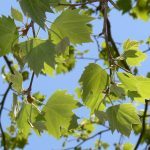 It is very similar to an American Sycamore (which it is derived from); London Planetrees are almost exclusively used in an urban setting where American Sycamores thrive more in lowlands and along streams.